In Hinduism, Orion is associated with Prajapati “lord of creatures” presiding over procreation, and protector of life. 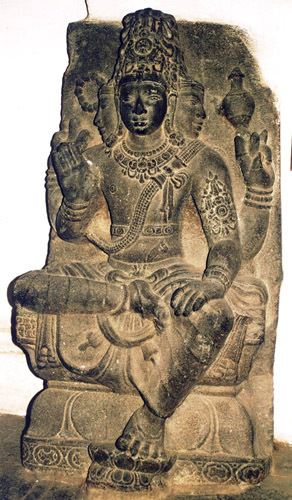 Vedic commentators also identify him with the creator referred to in the Nasadiya Sukta. In Egypt he is the god Osiris. In Turkic and several other cultures, he retains this role of protector of the heavens as a swordsman on horseback. . The precise attributes of the constellation differ a great deal. One might see him as a very primitive hunter armed with a very large club. 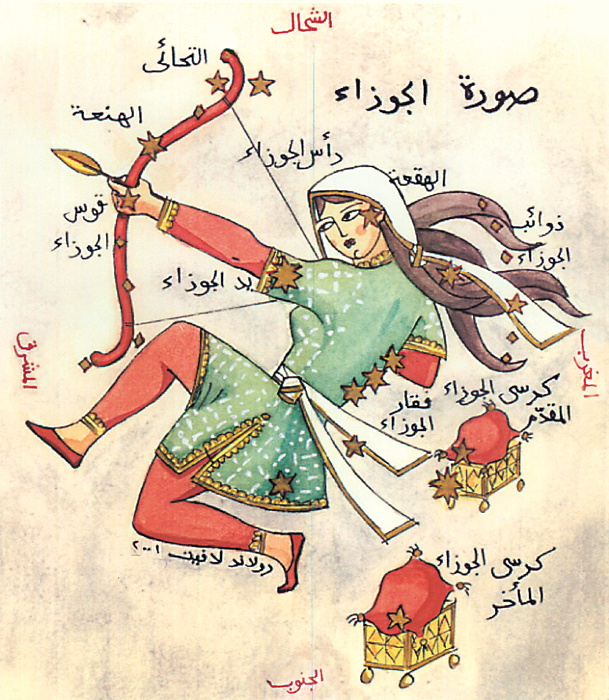 Most frequently he is portrayed as an archer aiming his arrow at Aldebaran, the Eye of the Bull. This is where the expression “bull’s eye” comes from. Ancient cave paintings at Lascaux appear to have represented Orion as the Shaman. The chief commonality is the theme of a man of power. Yet he signifies no zodiacal sign. Orion is probably the best known constellation after the Big Dipper. He is located on the celestial equator and visible throughout all inhabited parts of the world. It was named after Orion, a hunter in Greek mythology and followed by Sirius, the brightest star in the sky. The belt of Orion is it’s most prominent feature. . 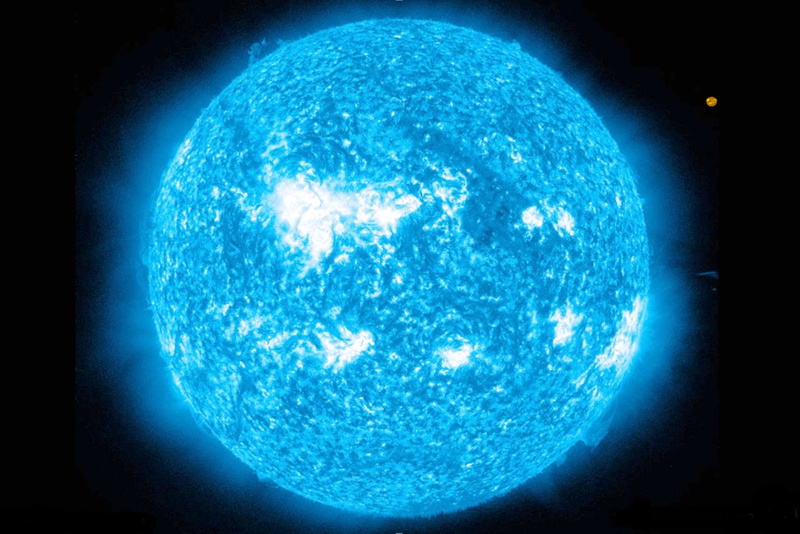 It consists of the three bright stars Alnitak, Alnilam and Mintaka. These three stars have collectively been known as the Three Kings. Robert Bauval and Adrian Glibert have argued convincingingly of a correlation between the belt of Orion and the placement of the three pyramids at Giza (The Orion Mystery 1994) This requires its own study. The belt is obviously of great significance and is in fact one of th best aids to identifying Orion himself. However, no one of these stars is considered to be of primary importance in astrological practise. The most powerful stars of Orion are Betelgeuse, Bellatrix and Rigel. They are all brilliant stars signifying the right and left shoulder and the left foot respectively. If Orion is seen as an archer, the placement of these stars tells us a lot. For anyone who have ever practised archery, the relationship between the left and right arm is virtually taken for granted. Assuming the archer is right handed, the left arm must hold the centre of the bow with great strength. The right arm draws the bow and mounts the arrow. In order to be effective, one foot must be firmly planted. If any one of these is missing or compromised, the arrow has little hope of hitting its target. On the left shoulder is Bellatrix, a star of the deep power of the undefeated Feminine. She is the Amazon warrior. In Tibetan Buddhism, the left hand is related to Compassion and the Right to Skillful Means, being feminine and masculine respectively. The symbol for these is the bell and the dorje. It is in a similar sense that Bellatrix and Betelgeuse work together. The apparent passivity of the left hand of the hunter is in reality the necessary correlative of the right. She holds the bow firm without wavering. Bellatrix is strongly associated with the Power of the Feminine. If she is in any of the aforementioned relations to Planets and Luminaries, the Feminine path to Completion is highlighted. Orion has nothing to do with shamanism because during Orion’s time eras, they were newly “building” the great Patriarch (sun cult) and destroying the goddess culture. Shamanism was before the goddess and pagan cultures which they destroyed even to be able to build men’s great kingdoms, pyramids and societies. Shaman and the previous Dream cultures are the Great Moon Cultures of the Grandmothers when she ruled. Perhaps you could explain what you mean by “Orion’s time era” I’m left guessing that you’re referring to this sentence: “Ancient cave paintings at Lascaux appear to have represented Orion as the Shaman. The chief commonality is the theme of a man of power. 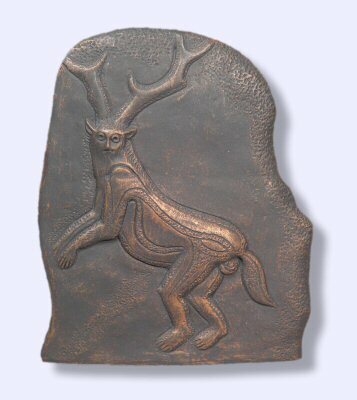 Yet he signifies no zodiacal sign.” Your statement that “Shamanism was before the goddess and pagan cultures” and was in fact destroyed by them is simply not true. In fact, there are still authentic shamanic cultures in many parts of the world. 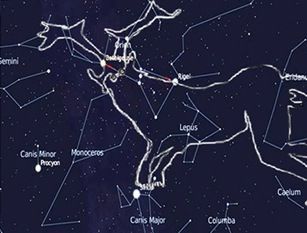 Orion is a “fixed star”… in astrology there are planets in astrology and there are fixed stars in astrology, the Babylonians and Southern Hemisphere astrologers mostly used fixed stars, so too the early Greeks. What I meant by Orion’s time era, is that men were scribes not women, so anything written about Orion were from mens’ perspective (eras). I am not speaking of the 2% of shamanism left on earth, I am talking pure shamanic eras before pagans and pagans before the patriarch (1000 bce until 2012 ce). First of all, Orion isn’t a fixed star it’s a constellation. 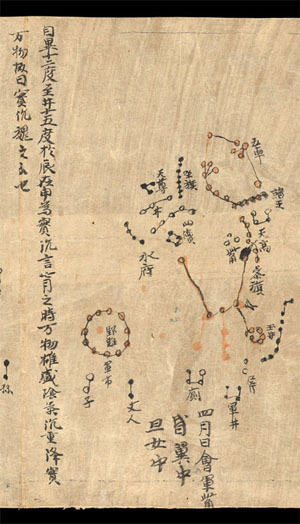 The main thrust of the article is to show the different ways in which this constellation was seen and interpreted. The Indian sages long preceded the dates you offer and there is no evidence that they were all men, but I also go back to the Paleolithic cultures. Other than the aboriginal cultures of Australasia, all other cultures we have mentioned are in the Northern Hemisphere. I don’t agree that all scribes and scholars were men. Celtic culture, for example, was highly egalitarian. Women could be priests, warriors, Druids, and historians of the tribes. Some of The aboriginal people of the Americas were also highly adept.